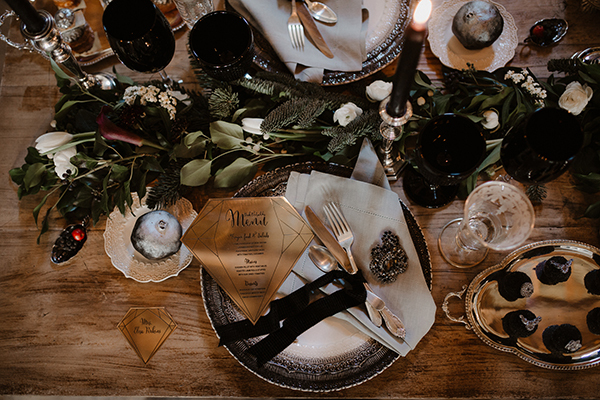 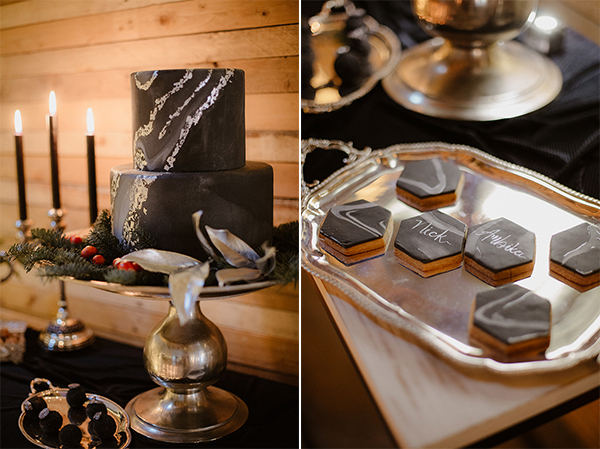 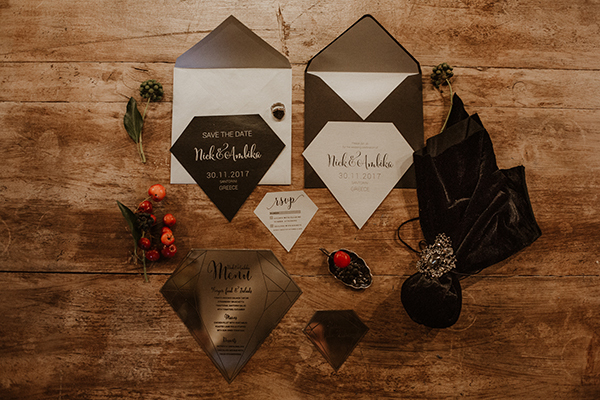 Today’s styled shoot is infused with elegant black details and rock glam that transports you to a magical place, where everything is shining with dark hues. 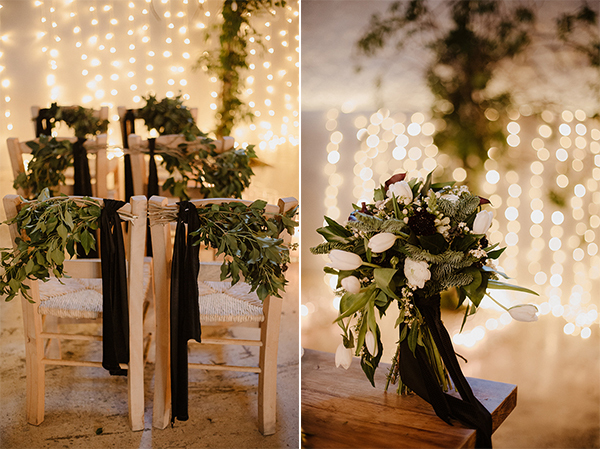 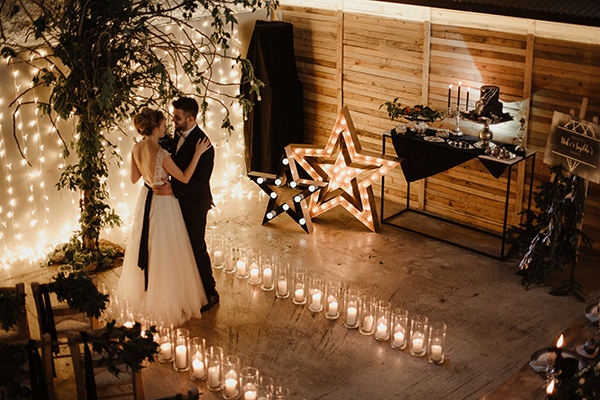 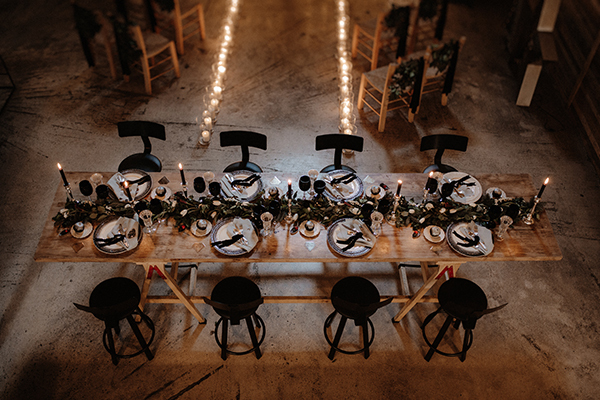 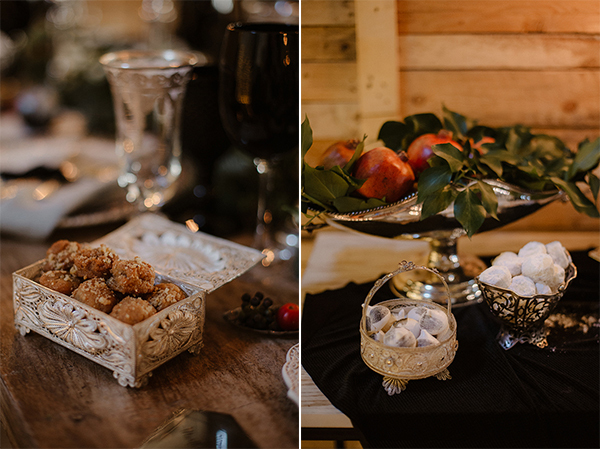 The setting was decorated beautifully by Santo Weddings by MK with atmospheric hanging string lights in warm tones, floral designs, black candles, adorned rustic chairs, an impressive table setting and of course a delicious, modern dessert table. 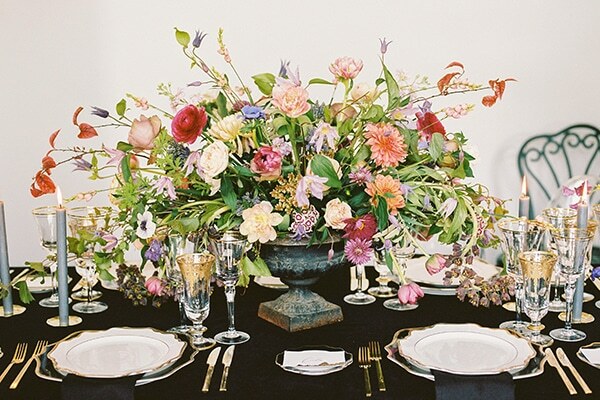 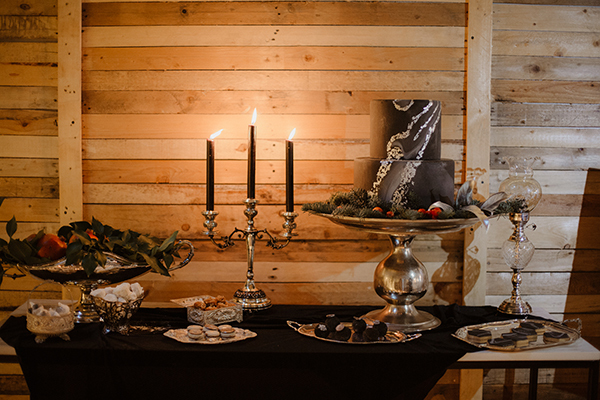 The wooden table had many gold and silver details combined with black glasses, candles, flowers and black velvet ribbons. 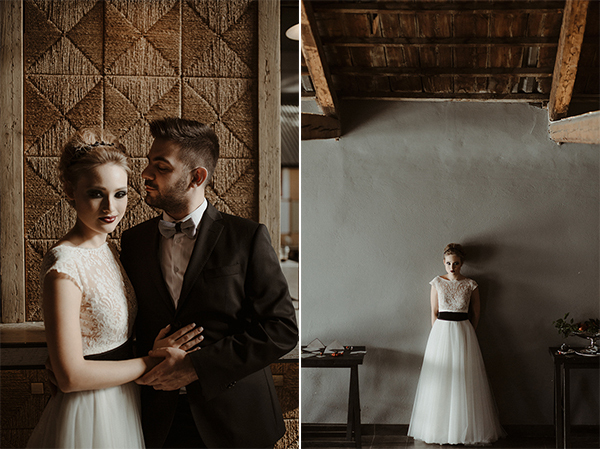 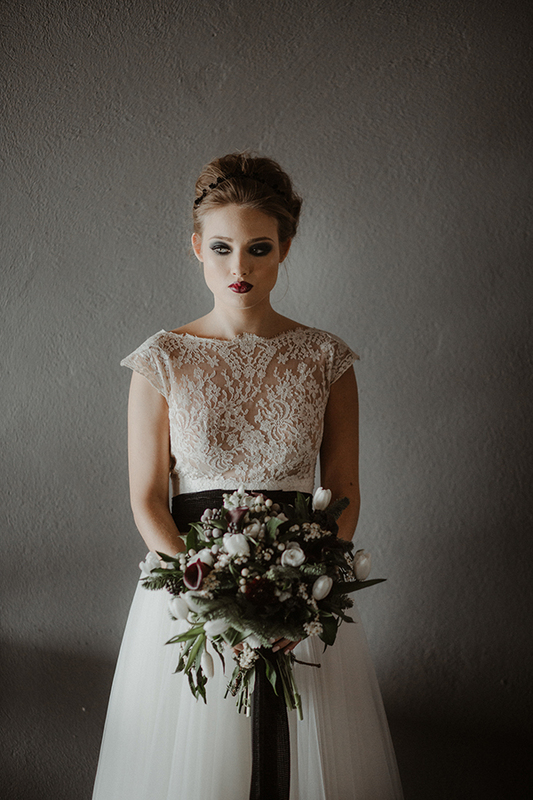 The wedding gown was designed from Alexia specifically for this Christmas styled shoot, was a vintage style wedding dress with a full tulle skirt and a black belt. 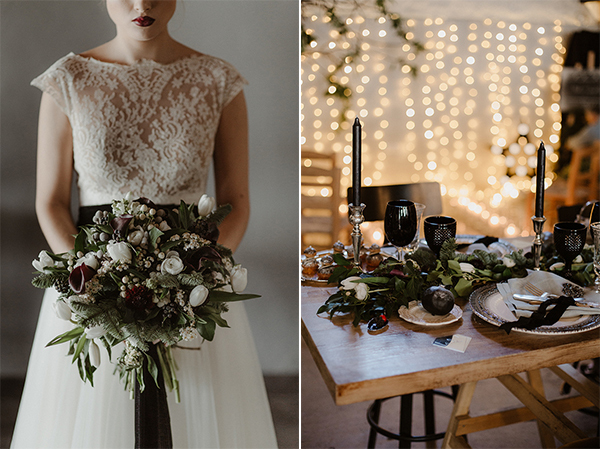 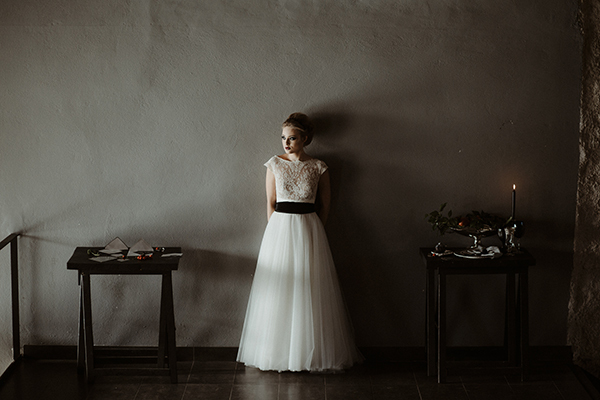 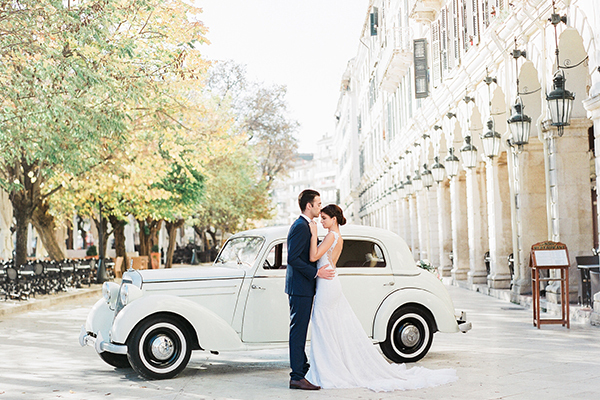 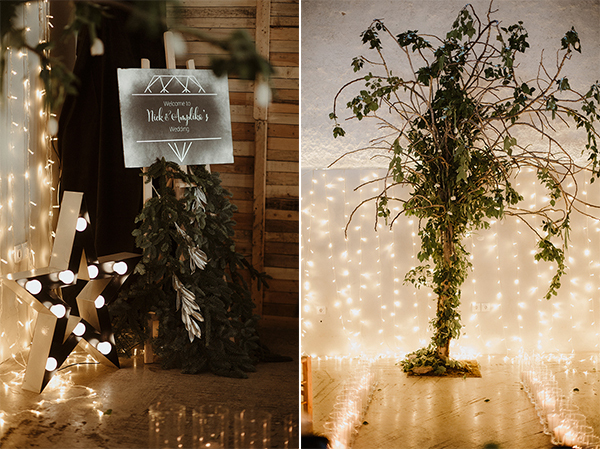 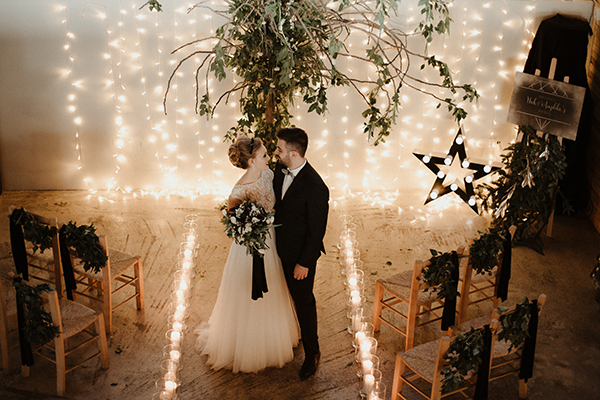 This holiday inspirational shoot certainly can inspire fashion forward brides that are dreaming of a Christmas wedding!